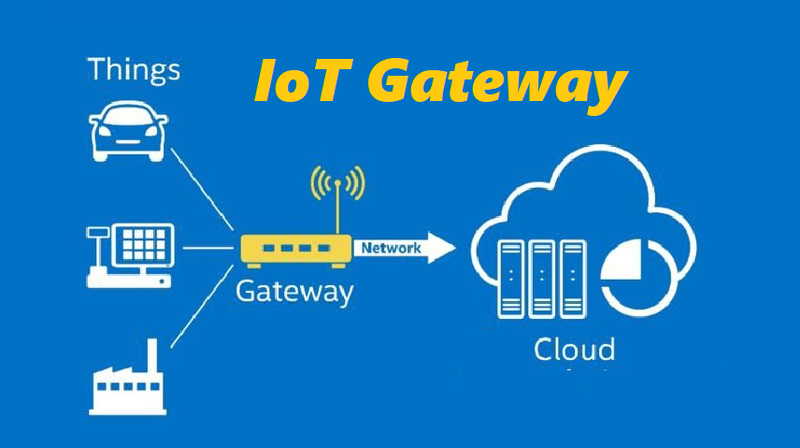 A IoT Gateways can connect to the IoT devices that communicate via specific protocols, store and parse the information and then send them to cloud servers for processing and analysis. Adding intelligent and embedded control to gateways can simplify IoT device design by providing access to shared processing resources. IoT Gateways have evolved to perform many tasks, from simple data filtering to visualization and complex analytics. These smart devices are helping power the current wave of IoT expansion. ● IoT gateways not only abstract the medium of communication but also provide the secure channel required for the transmission of this data. ● They are able to take intelligent data from the data center or cloud and push into the field or network edge. ● IoT gateways usually run real-time operation systems (RTOS) or a form of Linux to drive their systems. Hardware and software level encryption is built right into the gateway to provide a secure channel for communication. ● LTE routers are designed to enable SOHO and office users to enjoy the freedom of secure, high-speed Internet connectivity at the home, office or while on the road. ● In electricity, finance, service industry and governmental institute and other commercial industries, wireless broadband router suitable for small scale industry can implement the fast deployment of wireless network. In edge computing, critical data processing occurs at the data source rather than in a centralized cloud-based location. A versatile IoT Gateway is the essential link in delivering edge computing power to technicians in the field or at the plant floor. IoT Gateways that come equipped with these capabilities are referred to as ’Smart’ Gateways. In edge computing, critical data processing occurs at the data source rather than in a centralized cloud-based location. Other terms sometimes used to describe edge computing include ‘fog’ computing and grid computing. The Industrial Internet of Things (IIoT) relies on data from many sensors, controllers and attached servers, often across multiple, remote locations. Certain data processing tasks are best performed ‘at source’ rather than in the cloud.